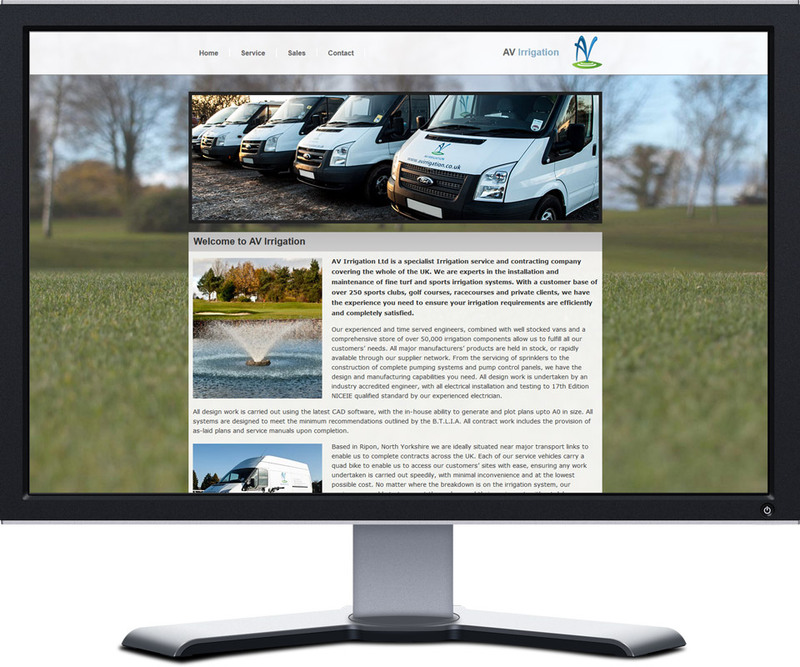 A small website for a fantastic client, AV Irrigation, a North Yorkshire based Irrigation service and contracting company. AV Irrigation required help establishing a brand and creating a web and social media presence. The site was designed to create a simple port of call for customers looking for their contact details, in addition to the website design and build the project entailed carrying out photography and designing a vector based logo that conveyed their image clearly on everything from stationery and company uniforms right up to vehicle signage.